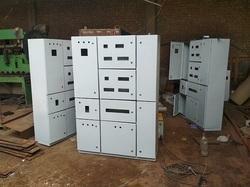 We offer qualitative power and control panel boxes. Having a definite quality management system, we are readily engrossed in bringing forth a comprehensive gamut of Control Panel Box. this is electronic panel box. controls warp stop motion, electronic weft stop motion, supply to 6 accumulators, controls proximity switches for stopping point. on/off & inching buttons. Bharat Rapir Loom And Atechment Manufactring Co.
We are one of the most reliable companies in this domain and are into offering Crane Panel Box. We specialize in distributing a wide range of Acrylyc SPN which are highly demanded in various industrial applications. 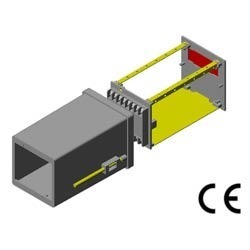 Our range of panel boxes is fabricated using top grades of mild steel and stainless steel for electrical fittings which ensures its high performance at clients end. These are also known as electrical panel boxes and control panel boxes. Our organization has gained name and fame in offering Panel Boxes to our clients. These boxes are regarded for their sturdy construction, precise dimensions, excellent performance and long service life. These boxes are defect free and are compatible with number of gadgets. These have large surface area and uniform texture.